Feed the spirit. Grow the mind. At ArrowMight Learning for Life, we know that academic struggles are often symptomatic of overwhelming personal challenges. That is why our Learning for Life literacy program is designed to develop skills and build self-confidence. The ArrowMight program forms a human connection—a mutual friendship between onscreen teachers and adult learners. Humble, respectful and warm, the TeleTeachers present curriculum content through conversation. A student voice asks questions, contributes knowledge from his own life experiences, and shares his worries and insecurities. As a result, lessons unfold in a smooth-flowing, culturally-sensitive dialogue to which people at home can relate. Captivated, motivated and encouraged, students gain a deeper appreciation of their cultures, learn valuable skills, and begin to recognize the many rewarding life opportunities open to them. They are supported in their learning by community-based Facilitators who offer encouragement and mentorship, and add a critical human component to the multimedia program. The ArrowMight program is based on an award-winning pedagogy used in more than 40 countries. Since 2002, some five million people have learned to read and write using the pioneering Yo si Puedo and Yo si Puedo Seguir programs that were developed in Cuba by IPLAC (Instituto Pedagogico LatinoAmericano y Caribeno). Underlying the pedagogy is the belief that nations can improve the quality of life of their citizens simply by enhancing people's views of themselves and providing opportunities for adults with limited communication skills to learn and practice reading, comprehension, numeracy, oral and written language skills. 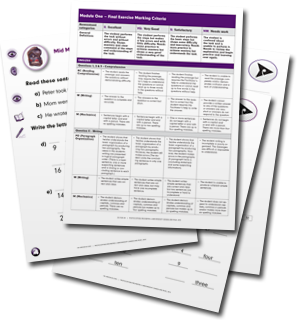 This step by step approach teaches literacy skills by taking students from simple techniques to complex concepts, from concrete principles to abstract ideas. tips for dealing with change and crisis, and more! Lessons also include video segments called Rays of Knowledge—mini documentaries that add variety and interest to the program while reinforcing important learning points. 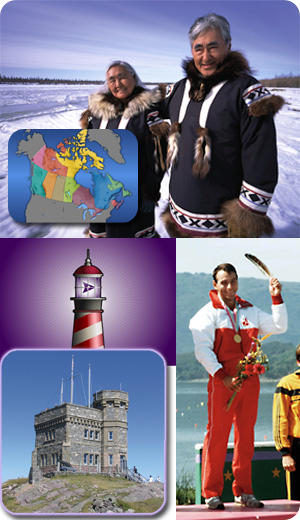 Many Rays of Knowledge feature prominent Aboriginal leaders, as well as other Canadian and international role models. All of the lesson content has been meticulously chosen to teach literacy, numeracy and essential life skills—all of the aptitudes people need to participate fully in the Canadian economy. The curriculum also complements Human Resources and Skills Development Canada initiatives to promote nine Essential Skills: writing, numeracy, reading text, critical thinking, computing skills, document use, oral communication, working with others and continuous learning. The ArrowMight program is designed for graduates to meet the entrance requirements of most post-secondary education institutions and improve employability opportunities. institutional barriers, such as feelings of embarrassment, a belief that it is too late to learn, bad experiences in school environments, and poverty. Students are encouraged to take control of their own learning journeys. Studying at their own pace and in familiar places, students can repeat lessons as many times as necessary, and begin and end lessons whenever is most appropriate and convenient for them. Students are also encouraged to invite their friends and family members to learn alongside them. This collaborative learning approach lessens students’ feelings of isolation and maximizes the program’s impact on entire communities. Extra workbooks and other resources for non-enrolled students are available upon request. 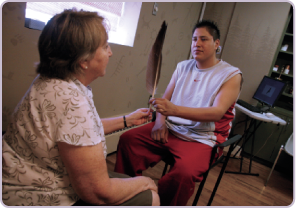 Unlike most distance-learning programs, the ArrowMight Learning for Life program employs full-time community facilitators to monitor student progress and provide the support necessary to ensure success. The Facilitators are members of the community who use ArrowMight supplied resources and tools to assess students’ initial skill levels, deliver program materials to their homes, monitor their learning achievements, and act as liaisons between them and the institutions and agencies that deliver the program. Facilitators record student-specific information, observations and assessment results in a central database known as the Learning Management System (LMS). The LMS enables ArrowMight Canada to be fully accountable for the delivery of the program and the progress of each student. ArrowMight Canada makes every effort to help students achieve their goals, whether those goals are joining the workforce, gaining better employment, improving work conditions, qualifying for full-time studies at a post-secondary institution, or being able to help children with their schoolwork. A pre-assessment of students’ literacy needs is required before they begin the program. This enrolment exercise helps Facilitators identify the learning needs of a student, and determine how his or her progress should be monitored. Each module requires a minimum of four mandatory face-to-face contacts with the expectation that additional contacts are made either by phone or in person. All students must complete Self-Assessments, Mid-Module and Final Assessments for each module. Formal evaluations of these exercises enable ArrowMight Canada to encourage, guide and improve learning, to award completion and to evaluate the impact of the program measured by student progress and performance. 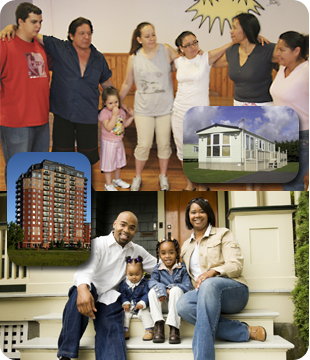 These assessment tools also provide a means for gathering the information required to prove and enhance the quality of the program and remain accountable to community providers and funders. The ArrowMight program forms a human connection —a mutual friendship between onscreen TeleTeachers and adult learners. The ArrowMight program can be used in any home. All that’s required is a television and a DVD player. 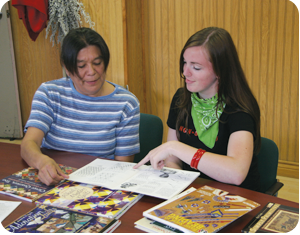 The community facilitators are motivating guides and dedicated resource people.